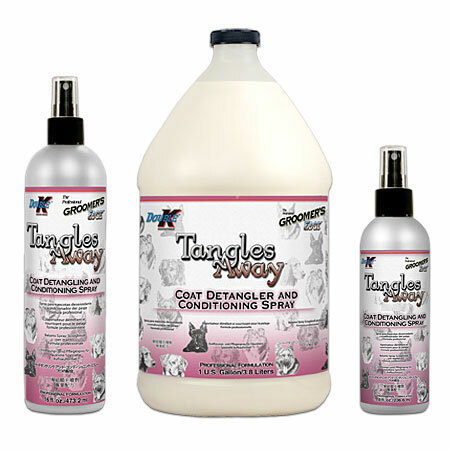 TANGLES AWAY™ professional detangling spray is the ultimate detangler for animals. Moisture‑rich formula makes comb-out easier for animals and you. TANGLES AWAY™ reduces frizz and leaves hair soft, shiny and manageable. Specially pH balanced for animals. Great for use on dogs, cats, puppies, kittens, llamas, horses and all farm and companion animals.